I have seen a few books, which utilize art as a healing tool this year, and am beginning to believe, this will be the journaling of the future. Stanford did an amazing job making this one personal yet welcoming to the ‘non-artistic readers’ through her warming and inspiring candidness as she opens her heart and unique vision of life and the visual world. I felt so welcome to experiment that I actually played with her book by reading it in order first, and then reading her process notes before the poem. Doing so, I was surprised how the same poem gave me a different experience each time. I did this with the “Best Poem,” among others. But my favorite poem was “Seeing.” I also loved how Stanford created a ‘before and after’ chart to visualize what this type of creative playful journal has done for her. 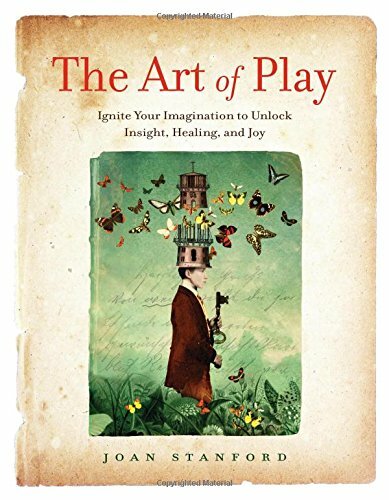 Overall, I found “The Art of Play” by Joan Stanford to be inspiring and enlightening, but also entertaining and relaxing. It is truly a five star experience for any audience. I will definitely work some of the concepts of this new journaling trend into my own process going forward!